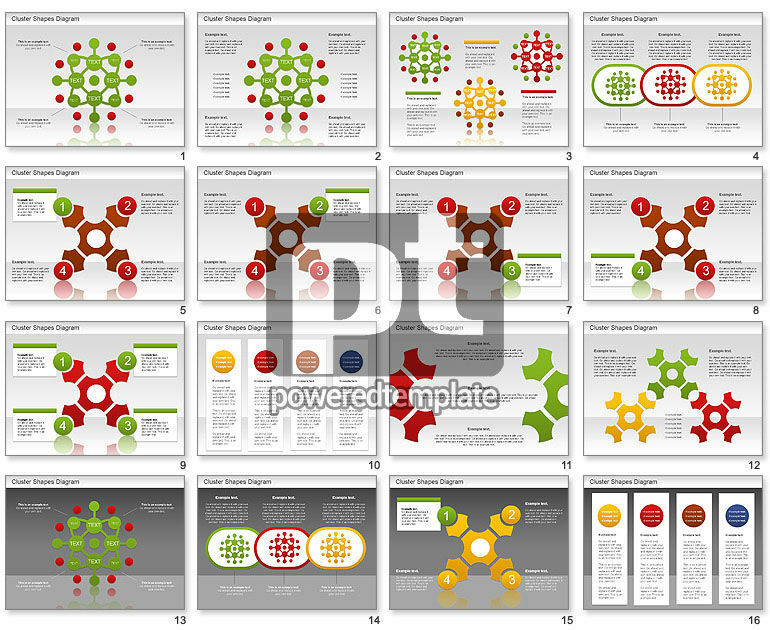 These presentation slides 39201 are complete compatible with Google Slides. Simple download PPTX and open the template in Google Slides. This unbelievably cool Cluster Shapes Diagram can be a bright point of your presentation, if you need to visualize some data, show work results in business, education, social sphere or media, network, computer architecture or others. This nice sample looks very clear featuring clusters, mind maps and two background solutions. Try it, and your audience will highly appreciate the style of your deck.